 Experience the magic of Mat Franco at the LINQ Hotel and Casino in Las Vegas. 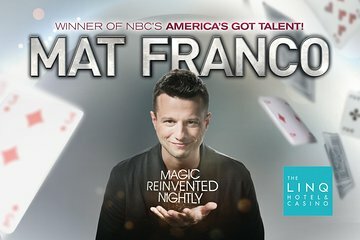 The winner of NBC’s ‘America’s Got Talent,’ Franco offers a fresh, fun, feel-good twist on magic that defies all expectations with ‘Magic Reinvented Nightly,’ his first-ever Las Vegas headlining residency. This full-scale production is built on brand-new, never-before-seen material. Franco mixes his signature humor and stunning magic with crowd-guided improv — a show that’s both unique and unforgettable to each audience. Choose from two evening shows and multiple different seating zones. This is a great performance and you can see why he won America's Got Talent. Mat involves the audience creating some fantastic magic and makes it funny in a good nature way. You walk away wondering how did he do that! Not so sure about the venue bc this guy is amazing! Should have his own theatre but it was clean, drinks were great, and the talent was something else! Thank you! THIS IS NOT YOUR TYPICAL MAGIC SHOW. IT IS VERY CREATIVE AND ENJOYED IT VERY MUCH! Thoroughly enjoyed it. Be prepared to stand in line even if you pay for seats at tables. The tables are tiny. It is still a line of chairs with a table every 2 or three seats separating the chairs. The show was great ! The price wasn't/ We found that if we waited and bought the tix directly at the box office they would have been much less for the same seats ! Excellent show!! He is a true showman who captivates the audience!! Excellent show the whole family thoroughly enjoyed it. Saw his TV special before opening in LV and put him on our short list of things to do/see when in LV. HE WAS TERRIFIC!! His charm and humor is infectious, his magic--INCREDIBLE! Sit as close to the stage as you can, and your mind will still be blown! He was fun!